Discover! Seldom offered spectacular, bright private Woodcroft's popular Whiteliff building. You will love the unobstructed view of North Shore mountains - Grouse. The building is part of a safety provided gated community with 24 hour security service; proven contingency fund. Save you money with excellent amenities including a fully equipped recreation centre with indoor pool, hot tub, gym and sauna. Enjoy your future in beautiful natural surroundings close to parks, schools, shopping and transportation. 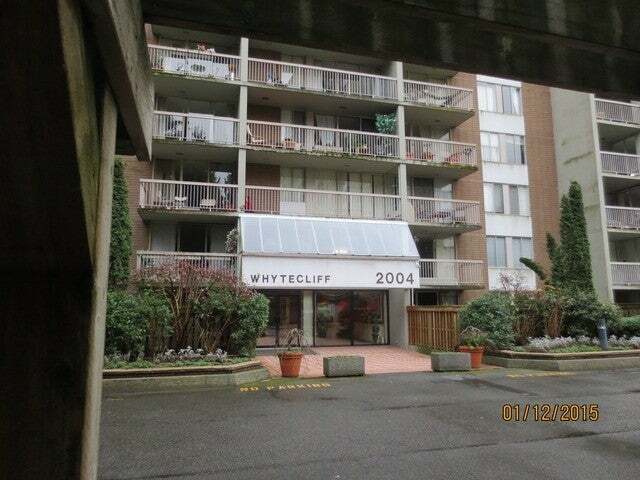 Minutes to downtown Vancouver. 1 parking and 1 external storage locker. Rentals. Welcome. Floor Area 761 Sq. Ft.